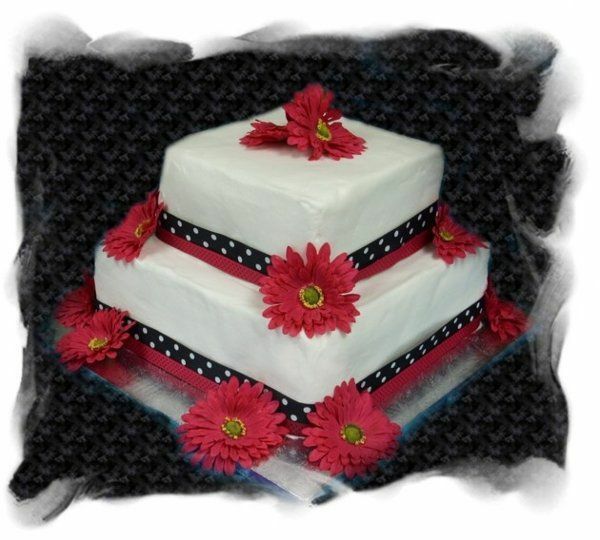 Foster's Creations features fully customizable cakes in over 30 flavors, with 14 filling options and 7 icing options. Giving you unlimited combinations for your special day. Gluten free available in limited flavors. 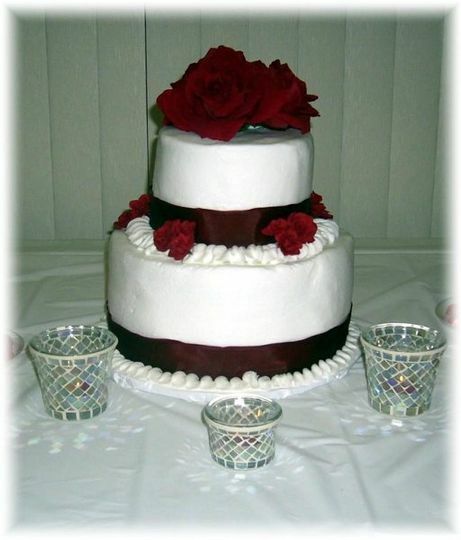 We also offer handmade Wedding and Shower Favors. We offer air fresheners customized with your picture and wedding date information. Our bath and body favors are available in over 100 fragrances and can be made to match your wedding colors. Walker-Johnson I really liked the color combination that the bride chose. It worked well together. Green-Stansbury Kimberly and Mike were a joy to work with. Mike picked the colors of the tiers. We could not have been happier. 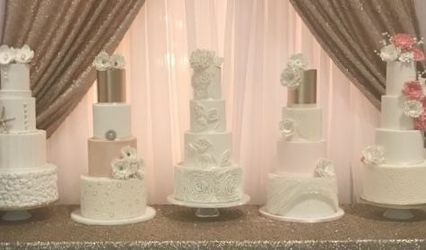 The cakes looked beautiful and tasted wonderful. 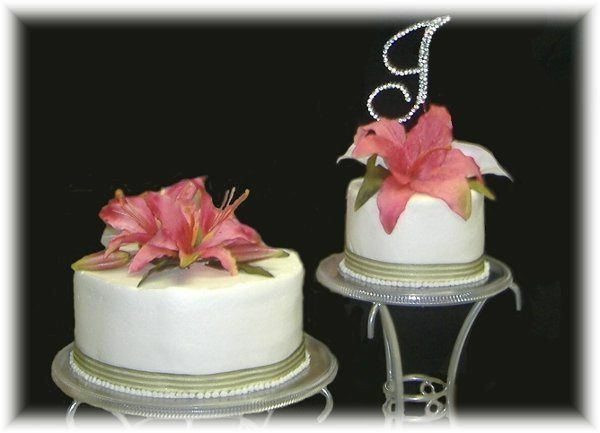 We received many compliments about how gorgeous the cakes looked and how delicious the cakes were. 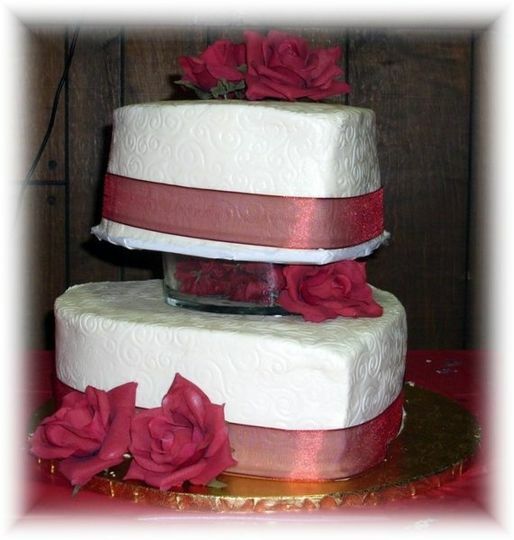 We had several flavors and instead of the traditional stacked wedding cake we had 6 different satalite cakes. 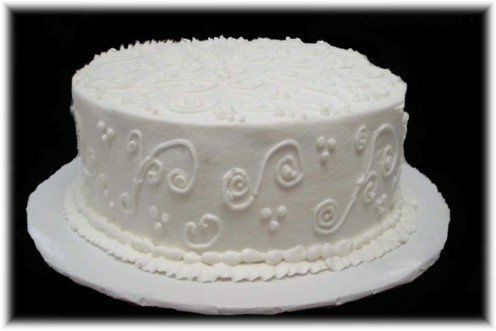 One of the nice things about Foster's Creation is that the bride and groome are given there own cake for later. 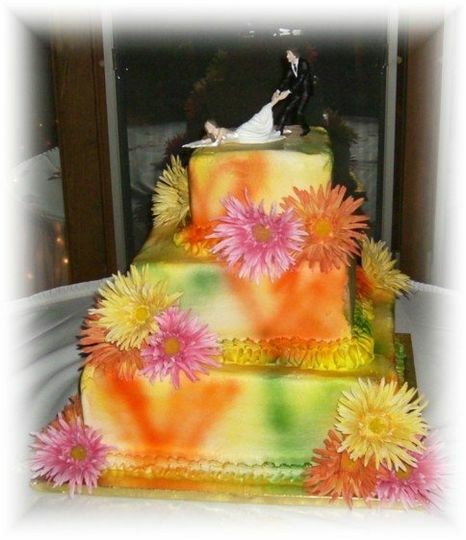 (Just in case you don't get the chance to eat your own cake at your wedding...which is what often happens.) Plus, you are also given an anniversary cake. Fosters Creations helped to make my day stress free and beautiful. Shannon was the most awesome lady to work with and she helped to even cut and serve the cake. Great services!!!!! Shannon was beyond extraordinary. I had forgotten my "something borrowed" and she allowed me to borrow a very special ring to wear during my ceremony. The quality and diversity of her selections in cake, fillings and frosting was phenomenal. 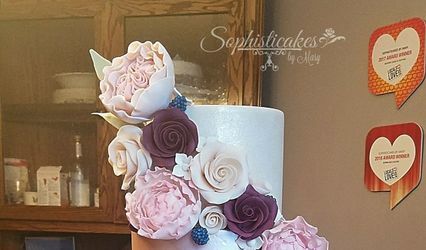 I have never had such a dreamy cake before! So flavorful without overwhelming, so moist! 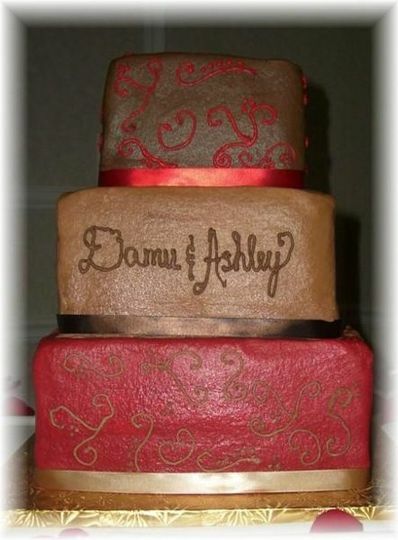 I received numerous compliments from our guests on the cake. 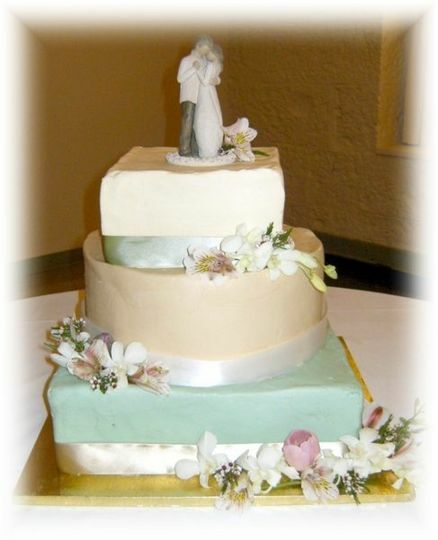 She was early to the site for set up and created our cake exactly how we pictured. 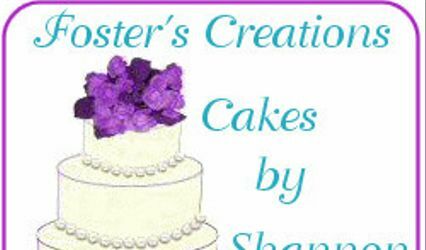 Fosters Creations is an amazing value for your money. Shannon is easy to work with and ready to help in any area she can. 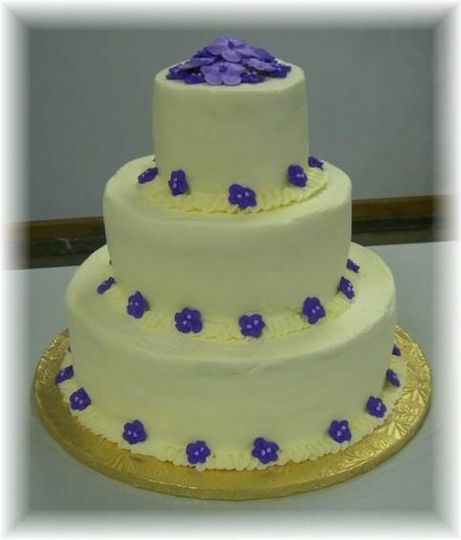 Mention you found us on Wedding Wire and receive 10% off your wedding cake, favor or wedding jewelry order.